EXCLUSIVE! "Peace be to this house"-Luke 10:5. Christ's words are a blessing on your home and a welcome to your guests. 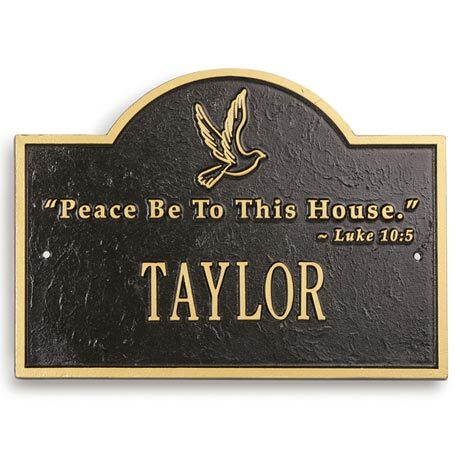 Plaque is recycled cast aluminum, custom-made in a sand-cast mold, and finished in weather-resistant paint for display indoors or out. Letters are approximately 1 1/4" high. Specify up to 15 letters and allow 2-3 weeks. Hanging hardware included. 13" x 9 1/4", 2 lbs. USA. 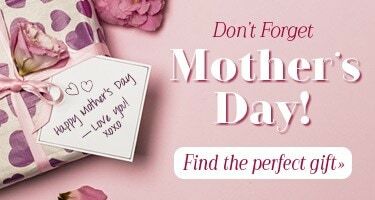 Sorry, no rush delivery or gift wrap available. Personalization available in capital letters only.